Argentina is the eighth largest country in the world, the second largest country in South America and a place of extremes. You'll be amazed by the breathtaking scenery and great diversity in its landscapes. There's much to explore, ranging from its extensive Atlantic coastline through to glaciers, Andean mountains, and the vast 'Pampas'. 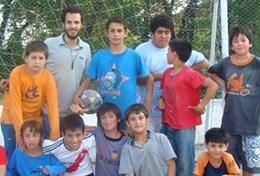 Projects Abroad has many opportunities for volunteering abroad in Argentina. 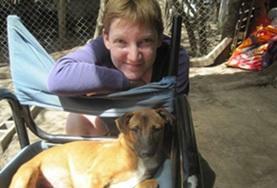 Placements include Agriculture & Farming, Teaching, Care, Medicine, Dentistry, Journalism, Equine Therapy and Spanish. 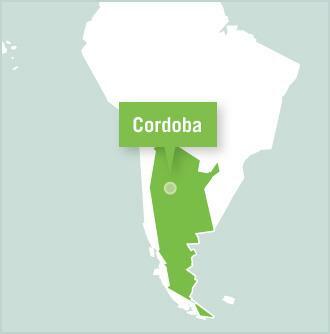 Our projects are based in and around Cordoba, Argentina's second largest city and the capital of Cordoba Province. You'll be living with a local host family in or around Cordoba which will give you a good insight into Argentinean life and culture. 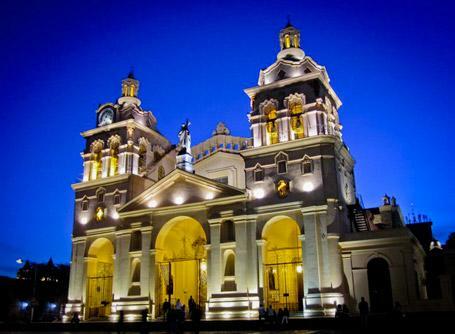 Cordoba is a vibrant city set in the foothills of the Sierras Chicas mountain range. There's plenty to see and be part of; Cordoba has many historical monuments built during Spanish rule. Its streets and promenades feature colonial architecture next to modern buildings. There is no doubt that Cordoba is a fascinating mix of the old and the new. There are also many festivals and parades held in this picturesque city throughout the year. With ten UNESCO World Biosphere Reserves and seven World Heritage Sites, Argentina is an fascinating country for the tourist. As a visitor you'll feel comfortable, inconspicuous and very welcome. Cordoba is an excellent base. You can easily visit nearby attractions like Che Guevara's house, the Pan de Azucar Mountain and many national parks and lakes. 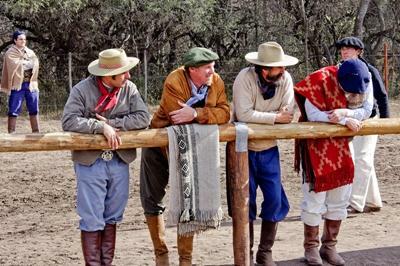 As well as providing opportunities for volunteering abroad, Argentina offers numerous excellent locations for trekking, climbing, skiing and horse riding. When your placement is over, why not visit the Iguazu Falls on the border with Brazil, stay on a ranch in the Pampas, or head to Valdes to spot whales, penguins and sea lions? 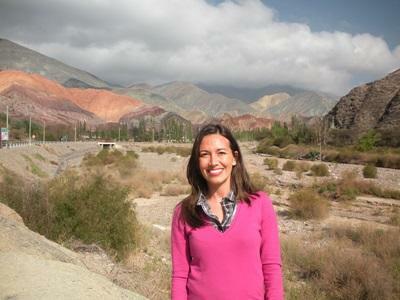 All kinds of adventures and experiences are available in this diverse country. Promote early childhood development, provide emotional support and work to improve literacy and numeracy skills of children on Care placements in Argentina. Help both adults and children rehabilitate emotionally and physically through a therapy programme which involves working with horses. 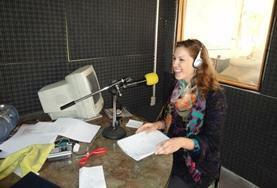 Work alongside local journalists at a community radio station. You can get involved in everything from researching and interviewing to taking photos and attending events. As part of this Dentistry Elective placement you will be based in a hospital where you will be assigned a supervising dentist. They will be of great benefit in your learning experience. On this Medical Elective placement you will be based in a hospital, where you will benefit from the knowledge of experienced doctors who will be eager to help, and work with you. 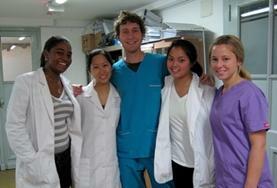 Volunteer in the dental department of one of the largest government run hospitals in the country. 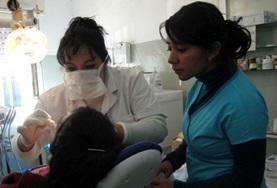 You will observe dental procedures and learn more about general oral health-care. 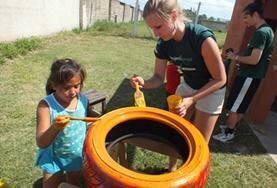 Volunteer in Argentina and gain experience working in both government hospitals and the smaller dispensarios. You will work in rotation allowing you to experience a variety of departments. 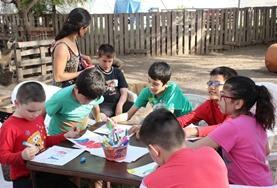 Help local children practise and improve their conversational English. 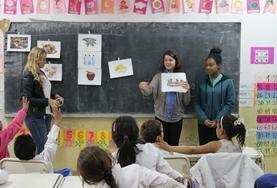 You can teach in a secondary school, university or language institute. Gain practical classroom experience while helping students at secondary schools, universities and language institutes to learn French. Work as a teaching assistant in kindergartens, primary and secondary schools in Cordoba, where you'll help students to improve their German language skills. Work alongside a qualified vet in a clinic and spend time working at a dogs shelter, assisting with various medical procedures and animal care. Work with children from the local community and help run educational activities, games, and sports to enrich their lives. 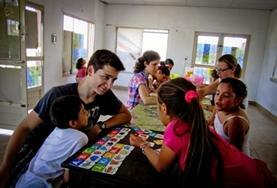 You will also study Spanish and practice your skills with local people. Help people understand their human rights under the guidance of local social workers and lawyers. 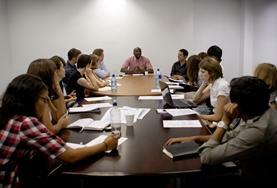 It is also an opportunity to learn Spanish and improve your speaking skills. 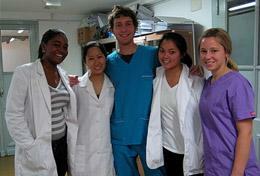 Work in a hospital in Cordoba and observe a variety of procedures. 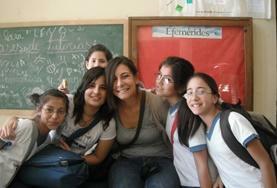 You also have the chance to learn Spanish with a qualified language teacher. 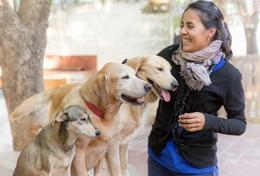 Improve the lives of dogs at a dog shelter and help them find a home. 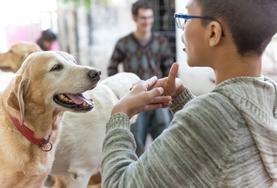 Volunteer on the Animal Care High School Special Project in Argentina to help staff try alleviate the stray dog problem in Cordoba. Qualified vets or veterinary nurses will be of great assistance on this placement in a clinic and dog shelter in Cordoba, where you will treat and care for domestic animals.